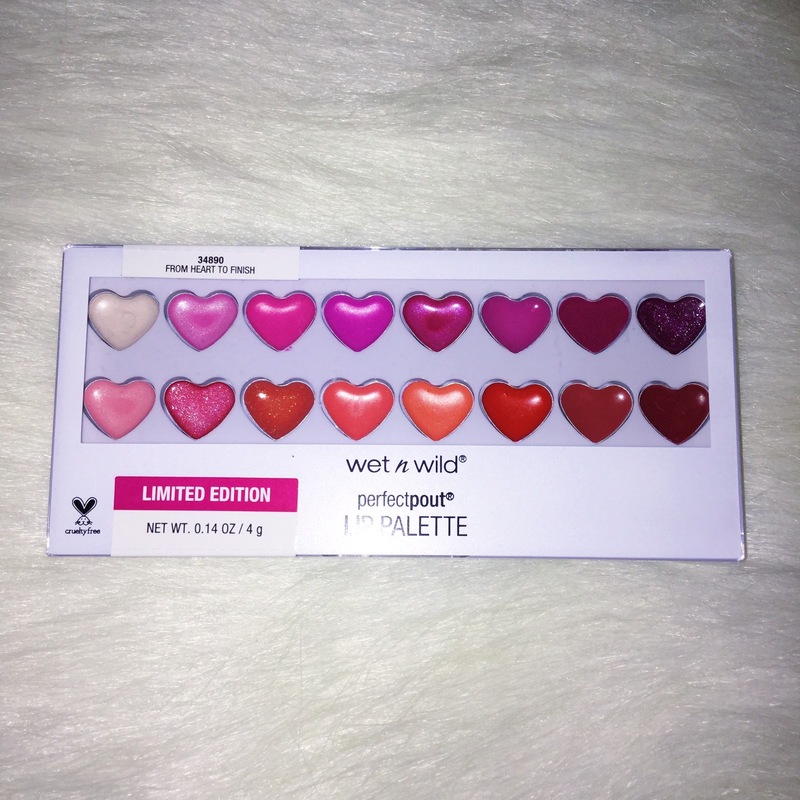 Stay royally wild and get ready to rule this spring with Wet n Wild's Spring (limited edition) Collection: Queen of My Heart. 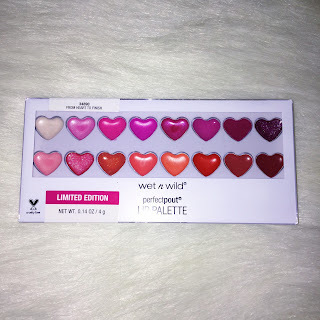 Right now on their webite, wetnwildbeauty.com, they have this entire set for $29 not including shipping. If you were to buy each item separately, it'd cost around $43 or more. Included in the set are: 3 eyeshadow palettes, 3 lip/cheek tints, 2 highlighters, a lip palette, and a kabuki brush. I think Wet N Wild carries the absolute best drugstore highlighters. I don't think they've ever put out a highlighter that was just "meh". They are all amazing and high quality for a very affordable price. 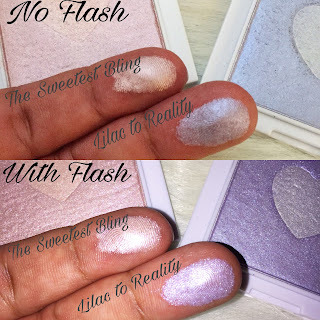 This is still true with their new Megaglo Highlighters in The Sweetest Bling (pink) and Lilac to Reality (purple). 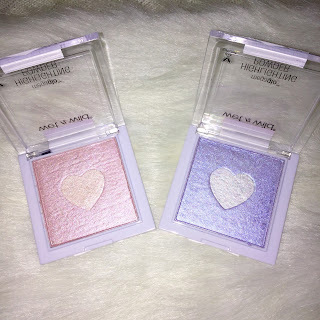 These highlighters are perfect for those who love color and love a beaming highlight. If you are more into subtle glow-from-within looking highlights, these may not be for you. 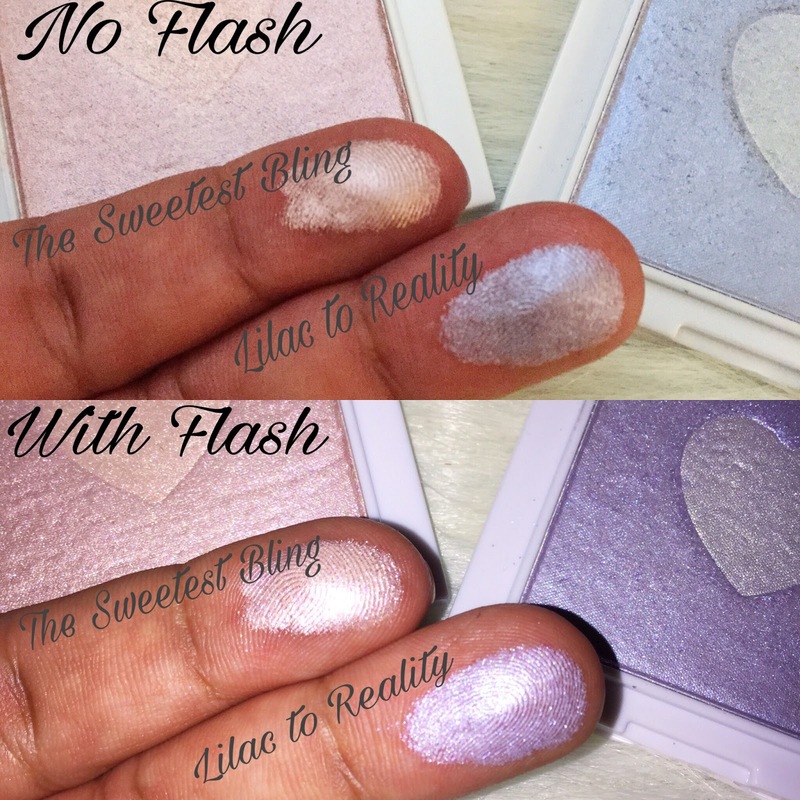 As you can probably tell from the swatches, these highlighters are pretty metallic. I recommend these as they are perfect for spring and they'll have your cheekbones visible from space. 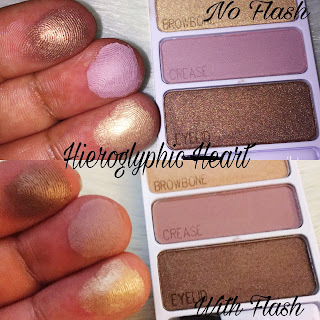 Individually, the Megaglo highlighters retail for $4.99. The next item is WNW's Kabuki brush. 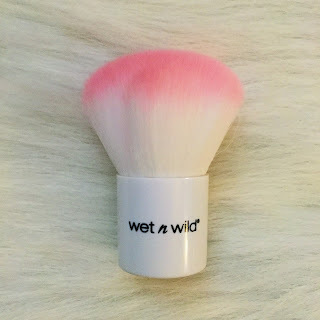 This is an update from their previous Kabuki brush, but now it is made with the same synthetic bristles as their ever-popular Cruelty-Free brushes. The hairs are extremely soft and densely packed. Plus, who doesn't love pink?? The Kabuki brush retails for $3.99. 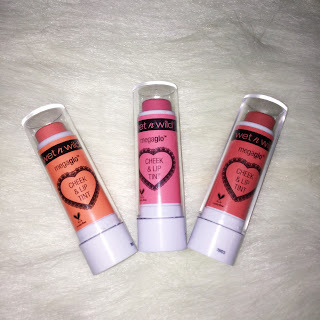 Wet N Wild also released 3 new Megaglo Cheek & Lip Tints. From Left to Right are: Crush Upon a Time, Kiss Me If You Can, and Flirt On The Street. These have a creamy, moisturizing formula that will leave a nice tint of color on your lips and cheeks. Monochromatic makeup is huge in 2017, so these are perfect to help acheive that look. 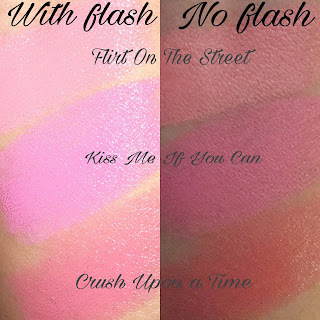 Above are swatches of each Megaglo Cheek & Lip Tint. Each stick retails for $4.99. 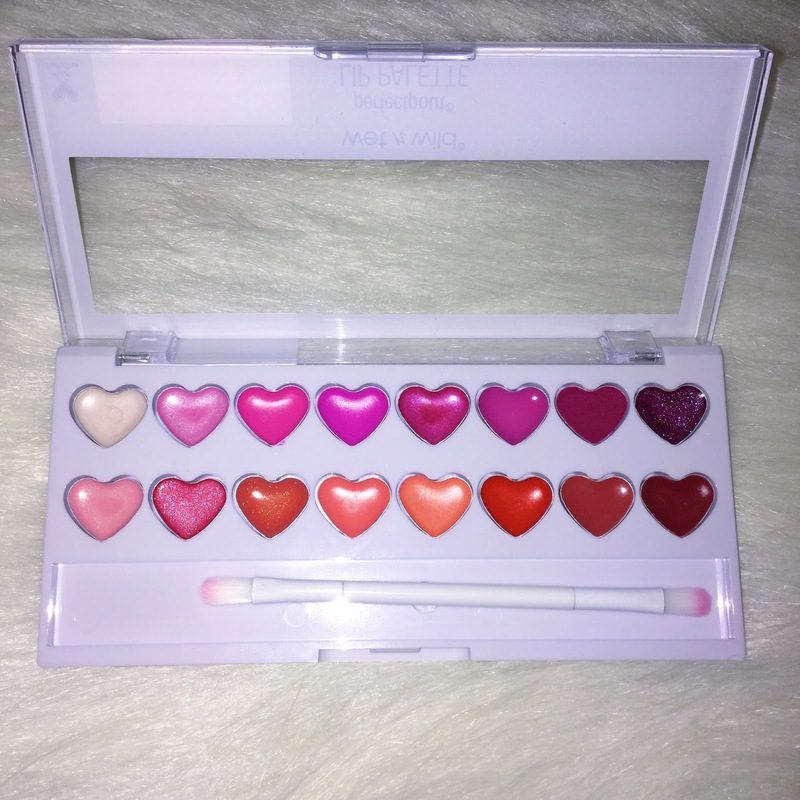 Also included in the collection is a 16 piece lip gloss palette called From Heart to Finish. 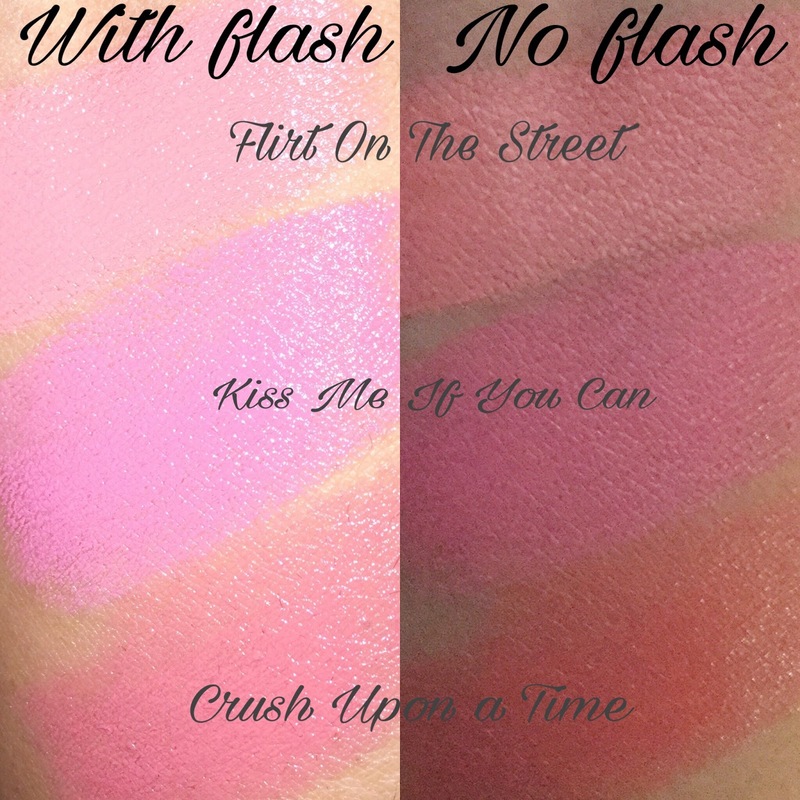 The Perfect Pout Palette gives you so many options, completing any makeup look will be a breeze. 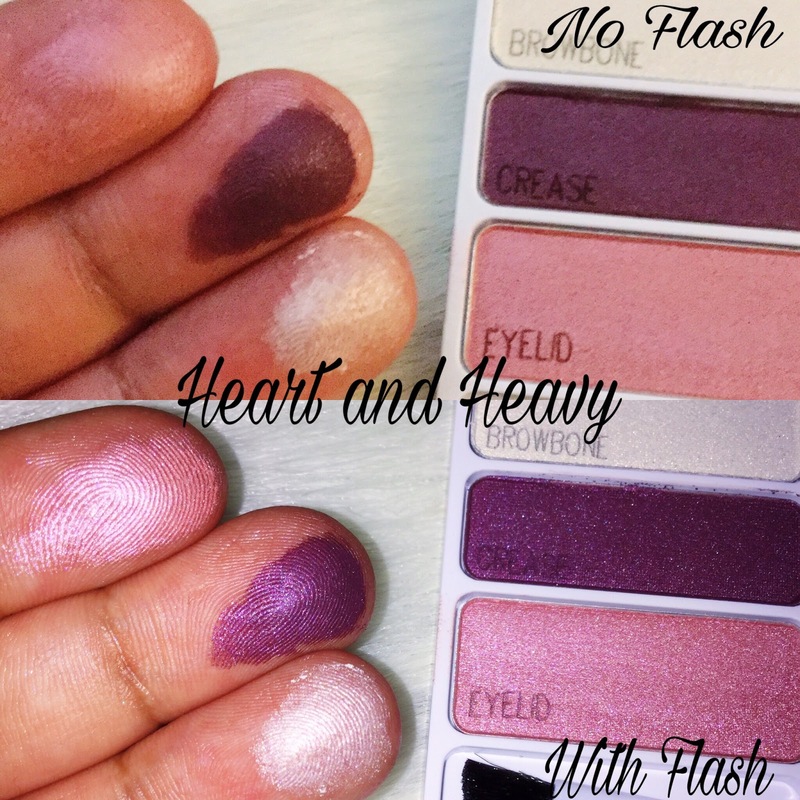 From Heart to Finish has a handy dual sided lip brush as well so there's no need to dip your fingers in the glosses. I love that! There's also a bit of space near the lip brush so if you wanted to mix and customize colors, you have space to do that. 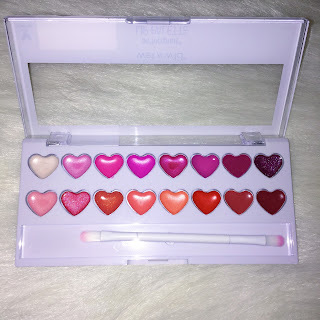 This lip palette retails for $5.99. 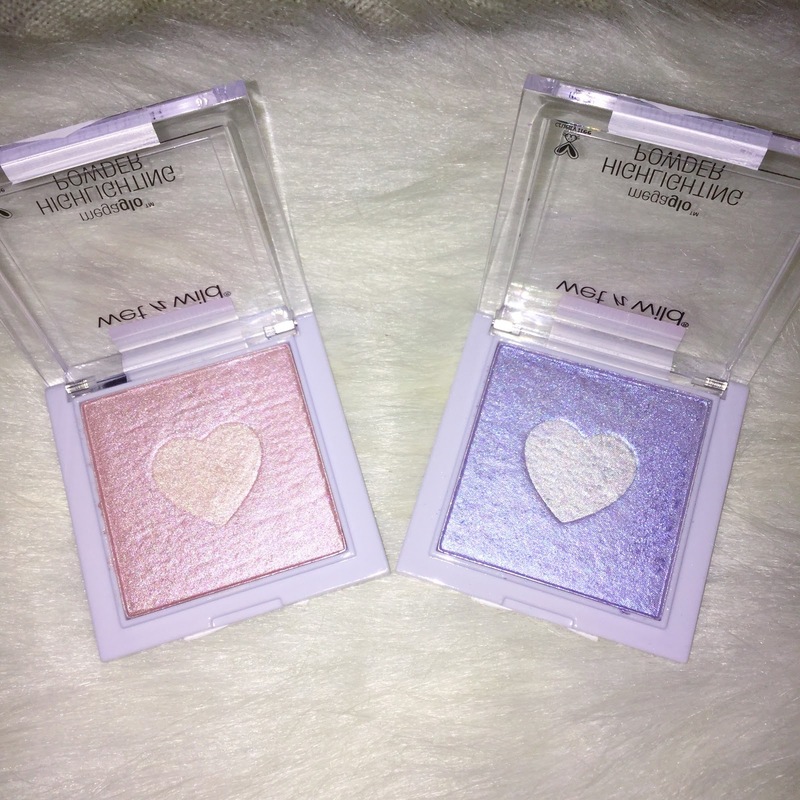 The last 3 items included in the Queen of My Heart collection are Color Icon eyeshadow trios. From Left to Right are: Heart and Heavy, Will You Marina Me, and Hieroglyphic Heart. Each trio retails for $2.99. Will You Marina Me looks just like a beach. 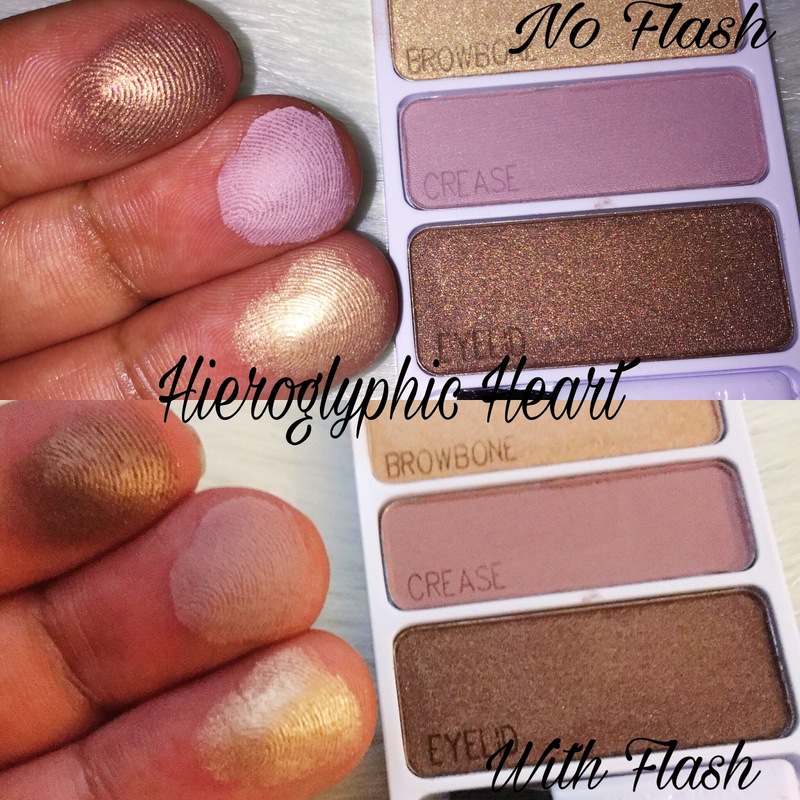 The eyelid and crease colors are a satin finish, with the browbone being a shimmer. Heart and Heavy is a romantic trio of purple and pink. The browbone color is a shimmer, the crease color is overall matte with a few flecks of shimmer, and the eyelid color is a satin. The last Color Icon trio, and my personal favorite is Heiroglyphic Heart. The browbone color is a shimmer, the crease color is a soft matte, and the eyelid color is a surprisingly pigmented shimmer. The Queen of My Heart collection is a beautiful one. I love each item included, and highly recommend. Especially since you can pick up the entire collection for under $30 bucks. 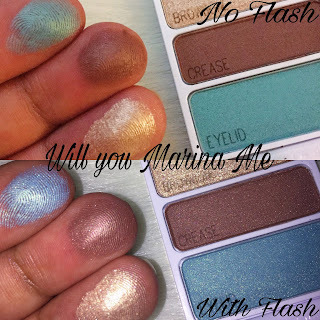 Yes, Wet N Wild is a drugstore brand, but their products are of an amazing quality so don't overlook them! This highlighter is a bomb! I did my makeup course by Lina, who trains best flawless make-up lessons , after doing this course I bought many items from this brand. Usually, I bought a lot of things to improve my skill. I am so in love with this brand, that I can not explain you.